I've finally experienced it! When Samsung first announced about the Starlight Cinema I was really excited to go for it. Before I proceed and share with you my experience, just a reminder that the Starlight Cinema Screening is from 13th to 21st of June only, so better go for it before it ends. 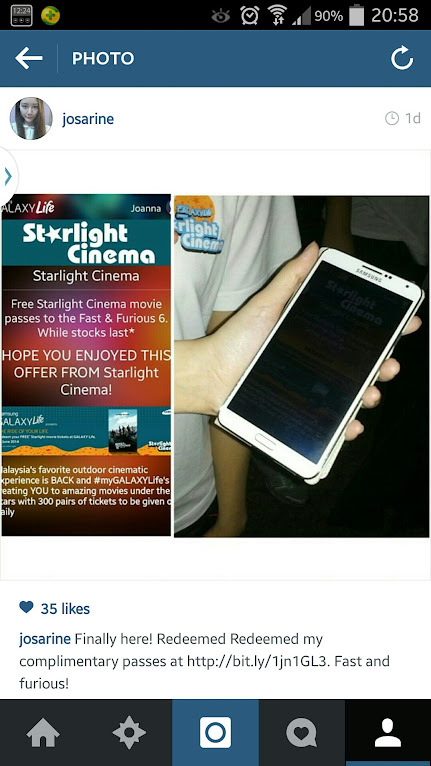 If you are a Samsung Galaxy user, you can redeem a pair of passes from http://bit.ly/1xPvKJc. You can only redeem when you have arrived at the venue yeah, and it's free seating. :) Here's an example. 1) A mat because you will be seating on the ground. But if you come really early, like 6pm sharp you can sit on the bean bags provided there, but it's limited so you have to be there early if you want to sit on the bean bags. 3) Food. You can also bring your own food to satisfy own cravings. If you don't have time no worries cause there are some stalls there. To Samsung Galaxy users, you can redeem free food too! You redeem it here: http://bit.ly/1xPvKJc. However while stocks last, each of the stalls will set a limit for food redemption. 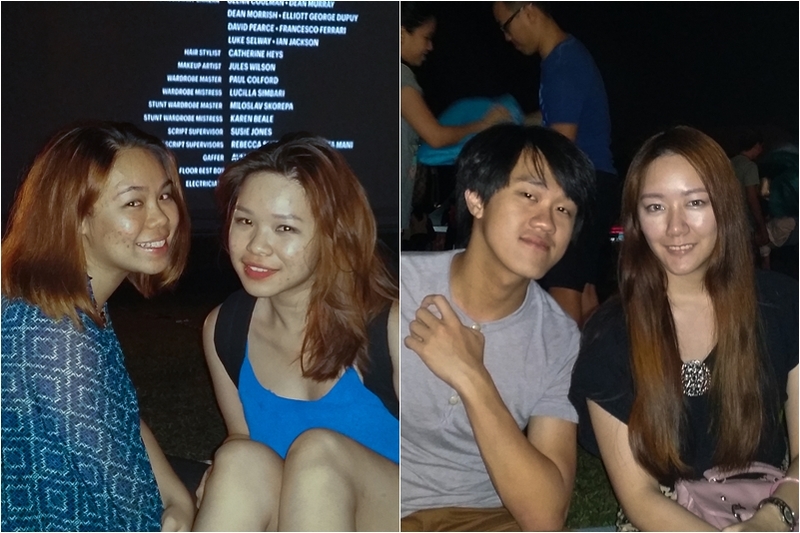 On Tuesday night I watched Fast and Furious 6 with Sue Ann, Christine, and Radius. When I first arrived there I was really concerned about being bitten by mosquitoes because I don't know why but I usually get bitten a lot. But surprisingly that night none bit me! But Christine did complain she's got a few bites. 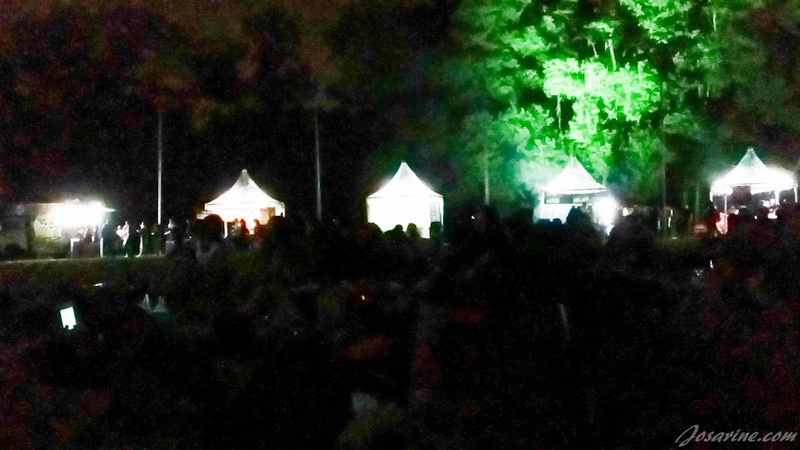 So better bring mosquito repellent! I only brought a mat, I should have brought pillows so that I could lie down and watch. I also noticed the bean bags when I was there and thinking the next time I come I want to come like really early to 'chop' the bean bags. Sorry this picture is really dark, didn't want to use flash or it'll disturb other people. But here's a picture of the crowd and the stalls. 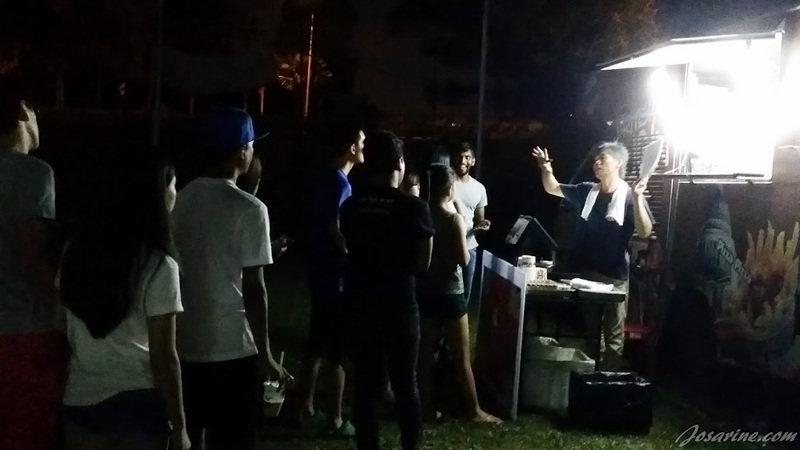 The "Crazy Potato Fries" and "Kaw Kaw Burger" has the longest queue! Advisable to arrive early and redeem all your food before the movie starts. 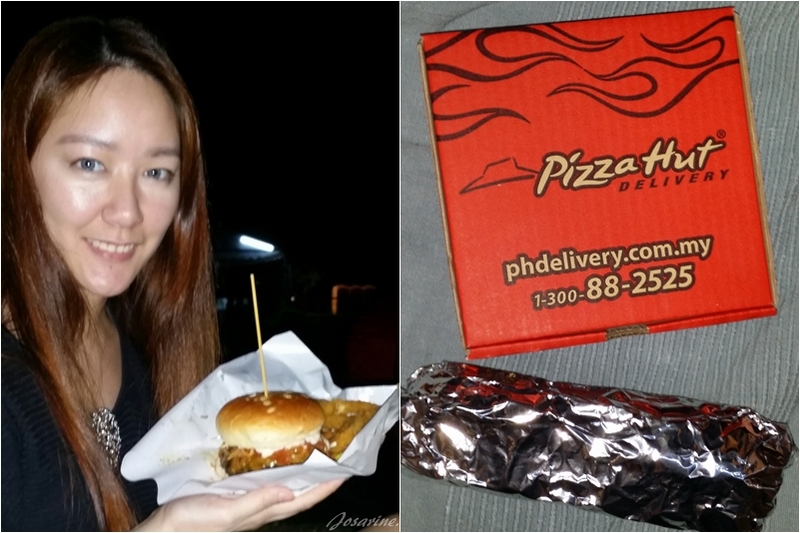 I couldn't wait for the crazy fries so I jsut got Pizza, and Christine got her Kaw Kaw burger! I love the fried calamari! 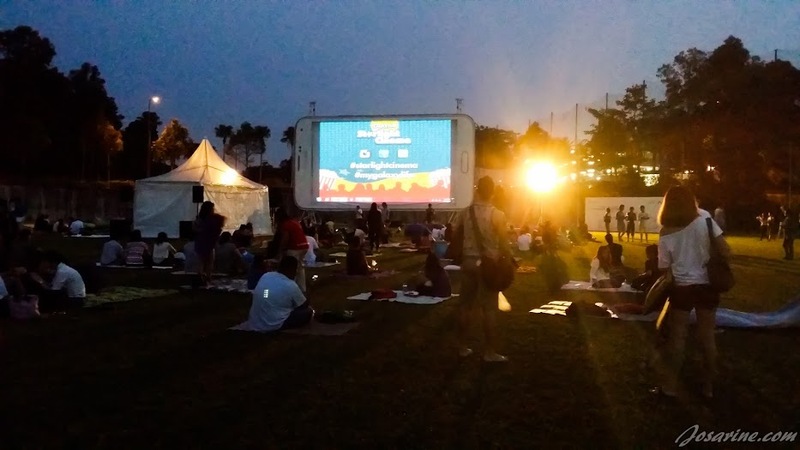 If you're wondering about the sound system and all, overall I think it's okay, not as loud as in the Cinema, but hey we are at outdoors, no sound proof room. wow, was it good? good experience!